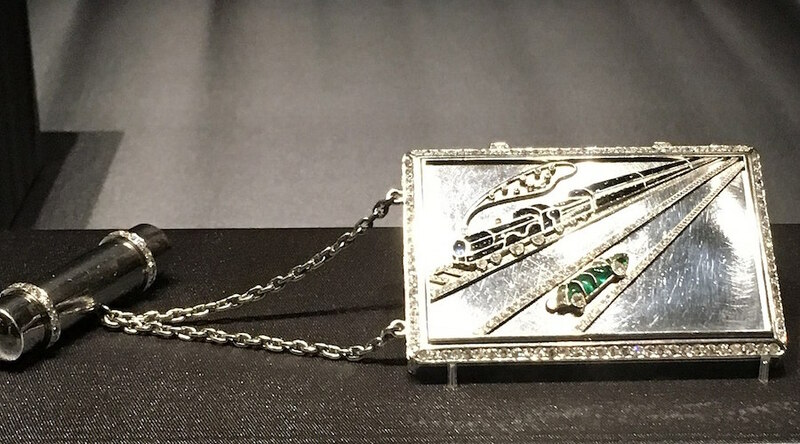 1931 Blue Train Powder Case by Van Cleef & Arpels. Photo by Fleur-de-farine, Wikimedia Commons. In its latest Platinum Quarterly report, the World Platinum Investment Council predicts a deficit of 275 koz of the precious metal for 2018 caused by an increase in jewellery and industrial demand. Overall supply is probably going to drop by 1% next year “due in part to a 2% reduction in South African mine supply compounded by closures in the second half of 2017,” the report states. When it comes to next year’s overall demand, the WPIC says it is going to grow by 2% when compared to 2017. In particular, platinum jewellery demand will rise by 3%, which would represent its first spike since 2014. Behind this recovery is the double-digit growth in the rapidly expanding Indian market. For industrial demand, the 2018 rebound is expected to be of 9% and it would be largely driven by expanding requests from the petroleum and glass sectors. “Meanwhile, global automotive demand is expected to remain largely stable, down 1% over 2017, with growth in auto sales in Germany, Spain and Italy being offset by a fall in the UK,” the document reads. In this particular subsector, however, the business intelligence group presents a silver lining. According to their insights, automakers in the US and Europe are actively considering switching from expensive palladium to platinum loadings on gasoline vehicles. If this development comes to fruition, short to medium-term platinum demand would grow. The analysts behind the report predict that South African output will end the year down 1%, while production from Zimbabwe is estimated to fall by as much as 10%. On the other hand, global demand for platinum is expected to end the year down 6%, largely due to a dip in industrial demand, particularly in the petroleum, glass, chemical and electrical sectors. This fall, the experts say, outweighs gains in the medical sector.